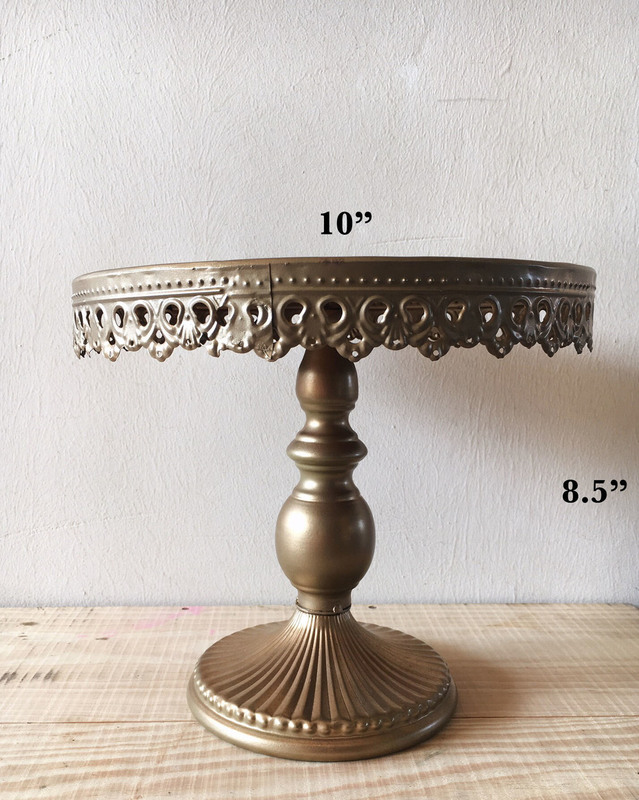 If you want to bring a wow factor to your cakes, this is the cake stand for you. This golden beauty will definitely add a glamorous glow to your cake displays. This piece stands at 8.5" tall and has a 10" diameter.